A couple weeks ago I noticed the kitchen sink seemed to be draining slowly. It has a garbage disposal and I figured the previous owner had left something in there without chopping it up. I flipped on the disposal switch, instead of a satisfying grinding noise all I heard was a low hum, then a pop and acrid smoke filled the room. The disposal had given up the ghost. Now I had a non-draining sink and a bad garbage disposal. I was already working on the floors and did not have time to worry about the sink, so it sat, for a week, half full of water. Boy did it stink when I finally got a hose to siphon the water out. The city of Burien has a strong composting policy, in fact they require you to compost and provide a second bin in the driveway, next to the garbage can, just for compost. 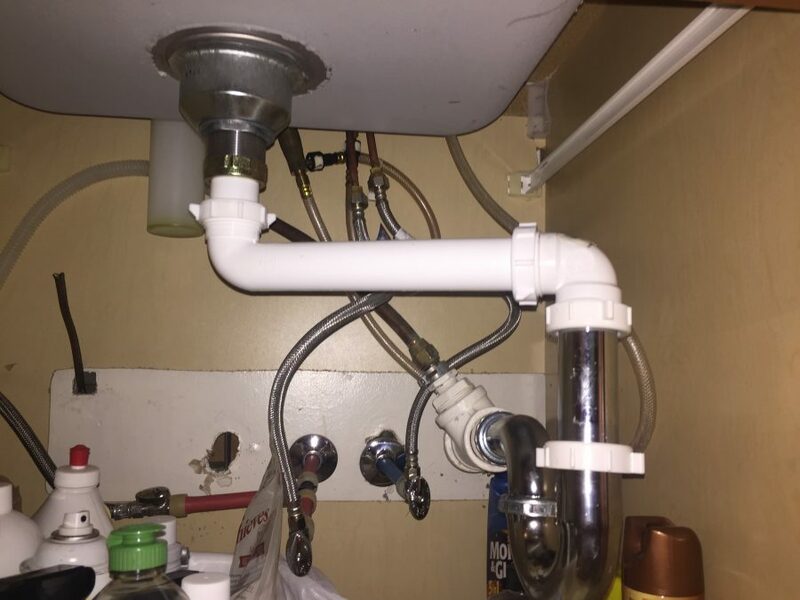 So I ripped the disposal out, removed the sink drain, and re-plumbed it all into a straight drain. Food scraps go in the compost, not the sink. Simpler, less moving pieces to break, and one less potential fire hazard in an already overloaded electrical system.